JULIA SPENCER-FLEMING: Once in a while, I like to do a real Sunday dinner, complete with a honking great hunk of meat and a homemade dessert. Usually when I get the urge, I'll roast a chicken or a pork loin - something I can stick in the oven, turn on the timer, and forget about until the bell rings. Today's recipe is NOT that. 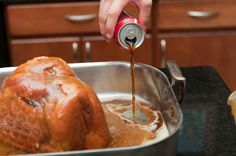 It's that southern classic, Coca-Cola Ham, which requires basting every twenty minutes. I call it a lazy Sunday dinner because the best way to make it is to turn on the classical music station and camp out in the kitchen with a good book or the Sunday paper. 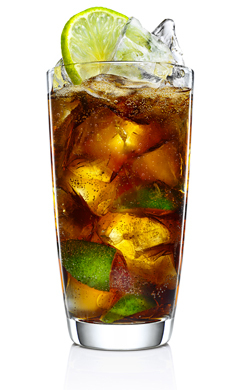 If you buy one of the big two liter bottles, you can enjoy a little rum and Coke while cooking. Also, if you can lay hands on the Kosher-for-Passover or the Mexican Coke (both made with cane sugar instead of high fructose corn syrup) use that instead. As good as regular Co'cola ham is, it's even better basted with the beverage that tastes like your childhood. The recipe I prefer is from Jane and Michael Stern's Square Meals (1985), a collection of Americana recipes from the nineteen-twenties through the nineteen-sixties. I've had the book - it's as much culinary history as it is a cookbook - for thirty-one years now, and I still refer to it regularly. 1 10-pound precooked ham (not cured or canned.) I always get the cheapest one I can find. Place the ham fat side down in a shallow baking pan and pour in enough Coke to fill the pan to about a half inch. Bake 2-3 hours, or until a meat thermometer reads 140F, basting with the Coke ever 20 minutes. Remove the ham from the pan and let it cool. Mix the remaining ingredients with enough Coke to make a thick paste. When you can touch the ham without yelping, trim away the rind and fat (make sure your knife is good and sharp for this!) Place the ham on a roasting rack in the pan and slather on the paste mixture. 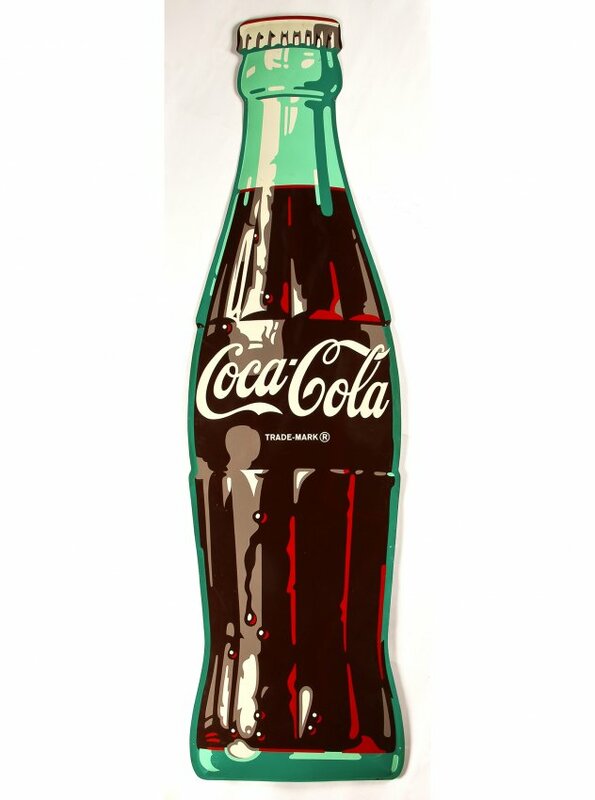 Add the rest of the Coke to the pan. Increase oven temp to 375F and bake for another 45 minutes, basting every 10-15 minutes. The paste will turn to a delicious dark glaze. Let the ham stand for about a half hour before carving. Yes, it takes time. But I swear the taste is worth it, and you'll have enough ham left after dinner to eat fabulous ham sandwiches the rest of the week. My goodness, I've not cooked with soda before, but I'm going to try this; it sounds amazing . . . thanks for the recipe. This looks scary delicious. I love a good ham. And then you have the makings of pea soup if the ham has a bone. I've made pulled pork with Dr. Pepper and root beer. The Girl is not a ham fan, but this is definitely getting a try. But what is a "lazy Sunday?" This sounds like a wonderful thing to make for a party! Yummy. Wonder how someone thought of it in the first place ?? Julia, your family is hitting the jackpot today. Sounds and looks like delicious eating, and I'm thinking that sitting in the kitchen with a good book is a pretty good use of time. Mary Sutton mentioned the pulled pork. A friend of mine fixes that with Dr. Pepper and it's delicious. I always wonder who thought of doing that? I've heard of cooking ham with coke for years but never tried it. Then there is sheet cake made with coke that is supposed to be pretty good. Julia, that sounds SO good. 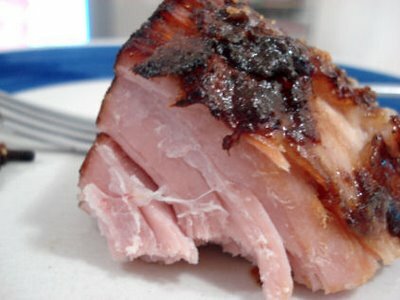 Rick doesn't eat ham--not for religious or health reasons, but because he didn't like the way his grandmother made it when he was a kid--do I don't ever cook it. The closest I get to this is pork shoulder roast braised in hard cider. Yum. Deb, you've got to post that recipe... sounds delicious. Does it get tented with foil for the first bake period?